Racó de lectura · 5 de Febrer de 2018. 17:33h. Have you ever seen the guy of the picture? This is Reihnard Heydrich (1904-1942). The chief of the Reich Main Security Office (RSHA in German) and the dreaded Gestapo till his death. He was killed by two Czech resistents sent by the government in exile –and the British secret service-: Jan Kubis and Josef Gabcik. In fact Heydrich didn’t die during the terrorist attack but one week later because of the infection. At that time Germans didn’t have antibiotics. If they would had have penicillin maybe his life would have been spared. 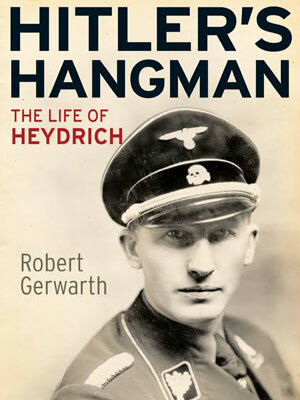 At his death, Thomas Mann, the laureate Nobel prize winner exiled in the States, said that Heydrich was Hitler’s hangman. So, why write a biography about a monster?. And most importantly: how? Professor Robert Gerwarth, director of the Center for War Studies at the University College Dublin (UCD), did it. The author himself exposed in the preface that there are two ways to achieve this titanic task: an autopsy or a portrait. The secret is to reconstruct the Heydrich’s life with “critical distance”. In fact the book is not only a biography, it’s a description of an era. Mr Gerwath, who uses a lot of data and figures, reminds us how a kilo of butter cost about 13.000 Reichmarks during the hyperinflation period after the Fist World War. It was the downfall of middle classes that explained, at least partially, the success of the Nazis. Robert Gerwarth also described how the son of a composer, from a catholic family, climbed the social ladder of the regime. Step by step. Without hesitation. Heydrich, indeed, was the perfect nazi. Known as ‘the blond beast’, he was apparently a good husband and father. He played the violin, piloted the Me-109 fighter and was a very good fencer. Some historians have speculated that he could have been Hitler’s successor if the so-called Reich of one thousand years would have survived to the war. After all, Adolf Hitler had no children.